An Arctic version of the Thor-M2 surface-to-air missile (SAM) system can also operate effectively in the tropics and deserts, Fanil Ziyatdinov, Director General of the Izhevsk Electromechanical Plant Kupol, part of the Almaz-Antey Air and Space Defense Corporation, told RIA Novosti. 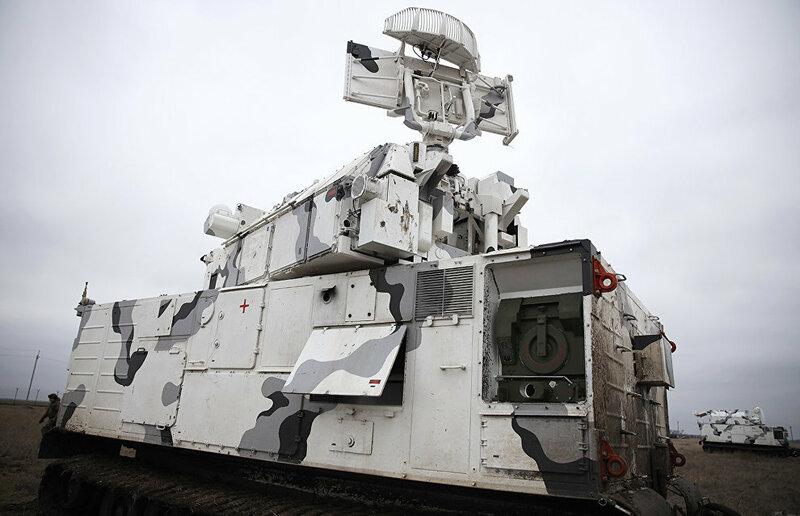 "The Arctic version of the Thor-M2 basic system boasts the same reconnaissance capabilities and firepower and is completely adapted so it can cope with the severe Arctic polar environment and, as the tests show, it can operate in tropical regions as well as deserts," Ziyatdinov explained. According to Ziyatdinov, the system's combat vehicles feature DT-Vityaz all-terrain caterpillar tracks. "This SAM system can operate on impassable roads and on rugged snow-and-ice covered terrain, in sand and marshes, and it can cross through water obstacles. Its crew boasts comfortable working conditions and can effectively operate the system in extremely low and hot temperatures, and the system's combat capabilities are also adapted accordingly," he pointed out. Earlier, Russian Defense Ministry sources said the Russian Army had received the first batch of Thor-M2DT SAM systems for their Arctic units.